We aim to raise COINTELPRO AWARENESS. We aim to show others how to identify when an agent or informant is attempting to destabilize a grassroots organization. The reason why it seems impossible to overcome Capitalism is not the fault of Socialism. The reason also has nothing to do with religious tradition. The reason has much to to do with COINTELPRO. COINTELPRO (an acronym for COunter INTELligence PROgram) is believed to no longer be in operation, yet there is just to much evidence to the contrary. With the revelations of Edward Snowden and the multitude of declassified information as well as leaked information, it is all to clear that COINTELPRO still runs in operation, and even to a more high tech manner. And on this note I should clarify reason why Bundists are not always quick to embrace every single Conspiracy Theory. It is not because we are unaware of conspiracies. The reasoning is that most Conspiracy Theories are manufactured as part of the operation of COINTELPRO. Now, to put this subject in a context of perfect clarity, let me explain that it is unlikely that COINTELPRO is still called COINTELPRO. The agencies that perpetuate COINTELPRO operations probably give different code names to such actions involving infiltration, provocateuring, covert sabotage and disinformation campaigns. The reason why we Bundists refer to any such operations as COINTELPRO is because this is the most appropriate description for the types of operations that fit such categories. We know now for certain as matters of fact that COINTELPRO-like operations are carried out to a much grander extent than was ever remotely possible in the 1960s and 1970s. Chabad is a problem, there can be no doubt about this. But they do get one thing correct, and that is outreach. Yet Chabad never cuts off Zionists who seek to give Judaism a cure as if being Jewish was some kind of infection. Chabad never cut off Jewry who get mixed up in Occidental Secularists, they do not rebuke them when they have tainted themselves in the scandals of Hollywood these Jewry never get reprimanded for getting involved with the vile Statist Governments of America and Israel. Chabad does not condemn Jewry who involve themselves with Capitalism even if these Jewry are involved with scandalous dirty businesses. Chabad does not condemn Jewry who prominent Jewry who endorse Americanism, Chabad has no concern as to whether or not any injustice has been carried out against the Native American Peoples. The policies of the Bundist Movement are Orthodox in nature, and we need to keep it that way. The Bundist Movement shall must establish a new Jewish Outreach that can replace Chabad Outreach. This is done by first instituting our own Jewish Outreach Centers and then by strangling all Zionist control over the Modern Orthodox Jewish Institutions. As for those who seek the Ultra-Orthodox Jewish way of life, we will direct them towards Neturei Karta. The highest aim for anyone who is genuine to the cause of Bundism is National-Cultural Autonomy. National-Cultural Autonomy is when Nations are self-governing living by their own laws recognized in a system of World affairs. National-Cultural Autonomy is when Nations collectively follow their own laws laws, having their collective rights safeguarded not being subjected to a status quo dictated by Statehood. National-Cultural Autonomy is very much opposed to Nationalism as a result. The original goal of Bundist Movement was to restore the old Jewish Labour Bund and make it a worldwide political answer to problems that the Jewish People are forced to deal with. This was during the time when myself, Dona Newman and Dr. abraham Weizfeld first started the Jewish Bundist Diaspora Movement. 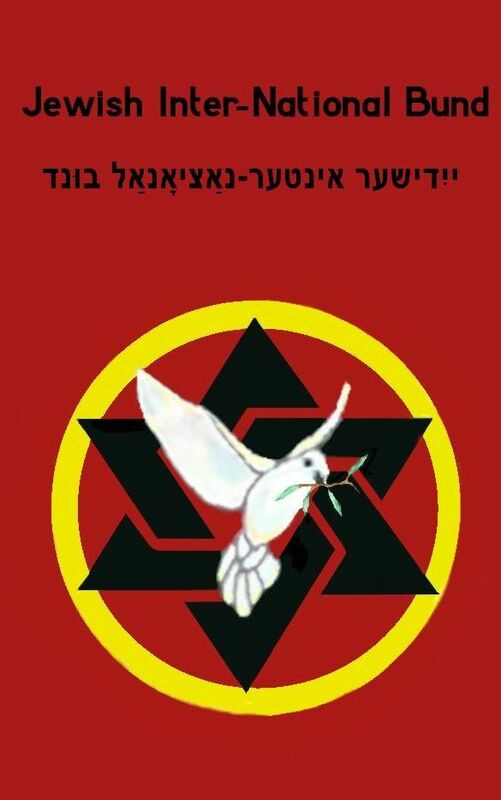 We now see that this was underdeveloped thinking, we are now drawing up plans for something much more advanced, the Jewish Bundist Diaspora Movement has now concluded that our collective goal is the establishment of the Jewish Inter-National Bund. The Jewish Orthodox policies of the Jewish Bundist Diaspora Movement will shape the rules for this new Jewish Inter-National Bund. The Socialism of the Jewish Bundists will be the foundation for the Jewish economic and political theory and practice of this Jewish Inter-National Bund. It is our hope you have a office in downtown Phoenix starting this winter.